Padmashan : The Padmasana is sitting posture like Lotus posture crossed interlocked legs, this sitting posture call Padmasan. 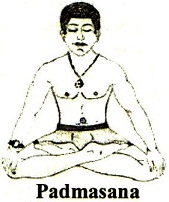 The Padmasan is the best sitting Posture for Meditation and Kundalini awakening. Sukhasan : The Sukhasan is Easy sitting posture like cross legs, this sitting posture calledSukhasan. 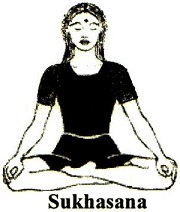 The Sukhasan is the second better sitting postur for Meditation and Kundalini Awakening . This entry was posted in Smart astro guru, Yoga & Kundalini Shakti and tagged Padamasan, Sukhasan by R. N. Sharma. Bookmark the permalink. Hello, i think that i saw you visited my weblog so i came to eturn the favor?I’m trying to find things to improve my site!I suppose its ok to use a few of your ideas!! You made some decent points there. I looked on the internet for additional information about the issue and found most people will go along with your views on this website. I have recently started a site, the information you provide on this web site has helped me greatly. Thank you for all of your time & work. “One of the greatest pains to human nature is the pain of a new idea.” by Walter Bagehot. I have been browsing on-line more than three hours lately, yet I by no means found any attention-grabbing article like yours. It is pretty value sufficient for me. In my view, if all web owners and bloggers made excellent content as you probably did, the web will be much more helpful than ever before. “Where facts are few, experts are many.” by Donald R. Gannon.